If you’re a newcomer, welcome to Nature’s Legacy! If you’re a returning customer and love our products, welcome back – and welcome to our new look and growing product line. Our products remain true to the concept of natural – they are not overly processed and contain no GMOs. 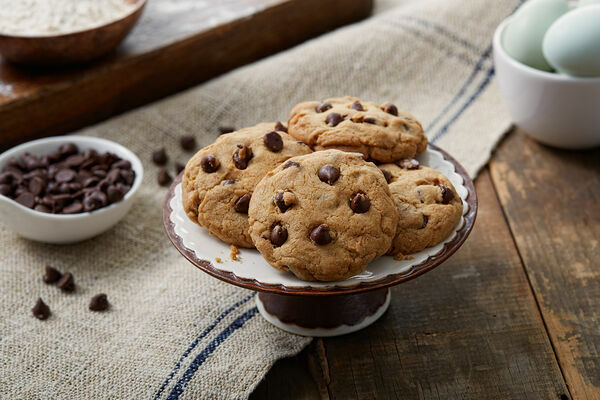 Each of our flours is milled from a single ingredient at a GFSI certified facility to ensure quality. 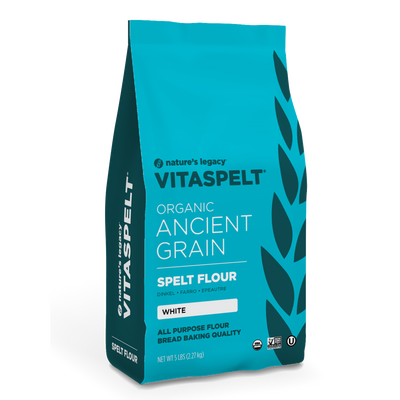 Our Nature’s Legacy and VitaSpelt® products are made from grains that have been around for tens of thousands of years. Unlike modern wheat, our grains have not been hybridized, genetically modified, or otherwise altered. Nutrition. Ancient grains contain all the major nutrient groups: carbohydrates, proteins, fats, vitamins, and minerals. They deliver those nutrients in a pure form - a form our bodies recognize and find easy to digest because these grains have not been hybridized and genetically modified. Taste. Ancient grains taste good - our customers confirm this for us everyday. 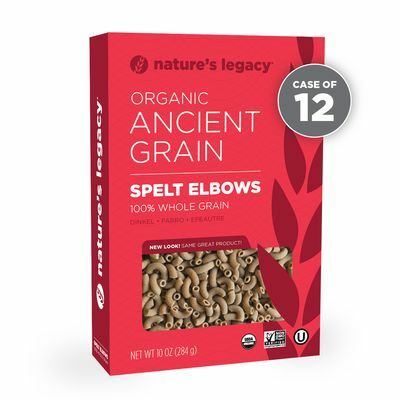 Unlike their modern cousins, which have had most flavor variations hybridized and processed out of them, ancient grains taste the way nature made them. Rich. Full. Nutty. It’s no accident that all of our products are leaders in their category when it comes to taste, texture, and performance. We start with high-quality grains and end with a high-quality finished product. Why not choose the best? All grains delivered to our Hudson, Michigan plant have to pass several separate quality tests before we accept them. We separate organic grain from conventional grain, and we further segregate them on the basis of quality. We mill our own flour in a dedicated facility to ensure purity and quality. If you’re a newcomer, welcome to Nature’s Legacy! If you’re a returning customer and a fan of our 100% organic VITA-SPELT® products, welcome back – and welcome to our new name and growing product line. We think Nature’s Legacy best depicts what our products and our company are about: products that are truly natural. And because our line of VITA-SPELT® products, made with 100% organic spelt, have grown so popular, we are now expanding our product line to include additional products – including pastas, cereals and flours – made from other high-quality ancient grains such as emmer and farro. Stay tuned as we roll out new products! 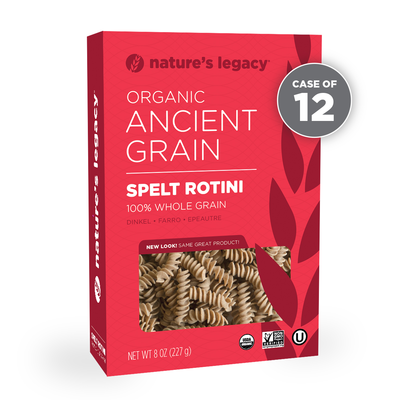 Our Nature’s Legacy and VITA-SPELT® products are made from grains that have been around for tens of thousands of years. Unlike modern wheat, our grains have not been hybridized, genetically modified, or otherwise altered. Nutrition. Ancient grains contain all the major nutrient groups: carbohydrates, proteins, fats, vitamins, and minerals. And because these grains have not been hybridized and genetically modified, they deliver those nutrients in a pure form – a form our bodies recognize and find easy to digest. Why choose VITA-SPELT® and Nature’s Legacy? It’s no accident that all of our retail products are leaders in their category – on taste, texture and performance. We start with high-quality grains and end with a high-quality finished product.Why not choose the best? All grains delivered to our Hudson, Michigan plant have to pass 7 separate quality tests before we accept them. We accept only hulled grains so that our raw grain inventory remains uncontaminated. We separate grain based on organic and conventional, and we further segregate them on the basis of quality. We mill all our own flour in a dedicated facility, to ensure purity and quality. Our organic flour and pasta products are 100% organic and 100% pure spelt. Our nonorganic product is 100% pure spelt. Our whole grain flours and pastas are 100% whole grain. Looking for recipes? Tips for better health and nutrition? Check out our blog. Connect with us on facebook, twitter, and YouTube. We want to hear from you. Whether it’s a recipe you want to share, or a story about your personal journey to better health. If you have questions about our products, just ask! Email us or call us at 888-123-4567. Spelt originated in Ancient Egypt dating back to the fifth millennium BC.